The Singapore Armed Forces (SAF) will face its biggest restructuring challenges over the next two decades as declining intakes of full-time National Servicemen (NSF) put our armed Services on a crash diet. For the slim fit SAF to continue to pack a punch, urgent and proactive attention aimed at preparing the order of battle for fluctuations in NSF intakes need to kick in now. Hardware revisions must be backstopped by attention to heartware - Commitment to Defence in SAF-speak - because this is all-important for a citizens army which realises its main fighting strength only after citizen soldiers respond to a mobilisation order. Change is needed because the SAF will face a degree of change unprecedented in size, pace and extent since Singapore's independence in 1965. If our neighbourhood stays quiet (and that's a big "if") and even with 100 per cent of Singaporeans backing the SAF without hesitation (an even bigger "if"), SAF 2030 will come dangerously close to being undermanned for the mission of defending the Lion City. The double whammy of a more urbanised Singapore mainland and smaller NSF cohorts will pose challenges to defence planners in our Ministry of Defence (MINDEF) and the SAF. As SAF 2030 could be some 30 per cent smaller, logic tells us today's concept of operations need to be reviewed, revised and revamped for the downsized SAF. Even if defence technology and better processes help the SAF trim estab levels, there is a bare minimum threshold that MINDEF/SAF manpower planners cannot cross without risking operations. For example, the rule of thumb of a 3:1 advantage over the defender would still apply in many tactical situations unless combat robotics and unmanned combat vehicles are developed to an extent unimaginable in today's context. It may indeed happen because who knows what the future holds. But prudent defence planners assemble their fighting forces based on the kind of war machines they have and not wish they had. As fighting unfolds, a minimum strength of ground forces will be needed to hold the ground regardless whether the scenarios apply to SAF 2012 or SAF 2030. If force levels fall below this threshold, one would risk operational overstretch. Such situations are dicey because the SAF would have bitten off more than it can chew. Lean manning levels may indicate that the SAF will lack reserves to exploit breakthroughs or serve as a buffer against enemy action. In the field of military medicine, a bare minimum of doctors and combat medics will still be required to treat and rehabilitate wounded SAF servicemen. Once NSFs and Operationally Ready National Servicemen (NSmen) sense that medical support is stretched to breaking point, it is likely that morale would be hurt as soldiers dither about whether it is worth risking their lives in combat with medical support either non-existent or unable to triage war wounded properly. Republic of Singapore Navy (RSN) warships would also require a minimum level of manpower for fire fighting and damage control duties. One could cite more examples just by thinking through how the present day SAF does its job. Looking ahead to 2030 - the far post of the planning parameter cited in the Singapore Population White Paper - it becomes apparent that a downsized SAF will need to do a lot more to influence or command every citizen soldier to do his duty. This is because the SAF's paper strength assumes every citizen soldier will be there, ready and willing to do what's needed, when the button is pressed. How strong is this assumption when applied in the real world? First, every NSF and NSman must keep himself in fine fettle. There is little point in achieving 100 per cent support for Commitment to Defence (C2D) if citizens soldiers are not in physical shape to get the job done. Second, citizens soldiers must respond to the mobilisation order. There may be leakage from citizen soldiers who have perfectly valid reasons for not responding to the mobex due to personal health (i.e. the soldier is sick), family or work-related reasons. In peacetime, when the price of not reporting outweighs the inconvenience for doing so, MINDEF/SAF will see soldiers who lack commitment report for duty. During a Period of Tension (POT) when war games look like they will turn into the real thing, defence manpower may be lost due to soldiers who reason that the price of not reporting for duty (jail term or a fine) is better than risking one's life during operations. So even more risk of manpower leakage. Third, the citizen soldier will have to be armed and deployed for operations. Last, the Singapore soldier must be prepared to act in accordance with military orders on the battlefield. 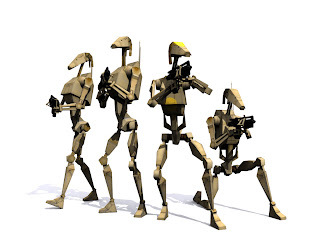 In wars past, we have seen instances of armies deployed in the field scatter and run at the first sign of trouble. In such cases, the warfighters passed through all touchpoints - keeping themselves fit for action, responding, arming and deploying - only to be tripped up by their inability to take the strain of battle. The reasons cited above explain why misgivings from Singaporeans have expressed over National Service after the White Paper was released have to be addressed squarely. Such unhappiness from our citizen soldiers should not be allowed to fester because it eats away at C2D. Worse yet, when fathers cascade such messages to their sons, the negativity lingers and is passed down to the next genertion. Data in the White Paper which revealed that the Singaporean Core would make up just over half of residents on the island whipped up a storm of comments in Singaporean heartlands and in cyberspace. What do you think today's NSman fathers will tell their children - the NSFs of SAF 2030 - when they are old enough to understand what kind of country they will protect? 1) Blast dissenters for being unable to see the big picture. Belittle them by claiming they took things out of context. 2) Invest time and effort to coax Singaporeans to understand the issues that Singapore faces in the mid- to long-term. As we approach the Committee of Supply debates that will scrutinise budgeted items, MINDEF/SAF must redouble efforts to rebuild trust among NSmen and convince them the future Singapore is well worth defending. Yes, we believe that trust has been rattled even without any of our neighbours rattling their sabres. The comfort zone that a strong SAF 2012 now engenders - because the orbat suggests superiority in numbers and war machines in various mission scenarios - will start turning into a danger zone as Singapore marches towards 2030. Historically-aware netizens, this means you as many who visit this site know your history, will know that British and Imperial forces who surrendered to the Japanese in February 1942 outnumbered their enemy but lacked the will to fight when they were corralled on an island where they could barely manoeuvre. The end result was the Fall of Singapore on 15 February 1942 - a dark day in Singapore's history which we commemorate tomorrow. If we outnumbered the Enemy but still surrendered, how would an outnumbered SAF 2030 convince Singaporeans and investors its deterrent edge is still lethal? If MINDEF/SAF have the answers, it is high-time they consider sharing them with Singaporeans. 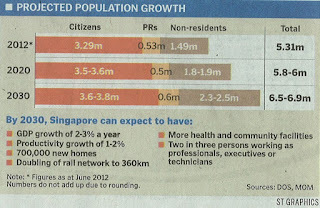 There is one big reason that SAF is truly worried about if PR/New Citizen cannot serves NS. SAF does not treat is men with decency, retaliation for tekan will be expected. That's why it is afraid to let former NSF WOSE serve as regular Officers unless they are urgently needed, eg as pilots and WSO. Discipline will break down if ex-NSF become equal or superior to those who bullied them. All the more of PR/New Citizens are let in. Will a PC, OC or CO risk a career-ending incident, or treat his PR/New Citizens better than the rest? This is a real point. There is a big difference in the amount of civilization and patience in an Singaporean and a PR/New Citizen's head. Look at how even PR/New Citizen WOMEN handle public disputes. Do our old citizens get treated fairly when there is a dispute? Look at the assaults, even the SMRT strike. How about the bus hijacking by the PRC women, the lorry driver assaulting the cyclist? How was the curry incident handled? I could go on. Look at the blog postings. Even the Singapore Police does not dare to touch them. How do we know that the SAF even currently has medical support that is not stretched to breaking point? Where are the figures to support otherwise? Any confidence that Singaporeans have thus far placed in the system is credence based and not fact based. Nobody has bothered to check. We all know the SAF neglects support units. SAR-80s. Unarmoured supply trucks. 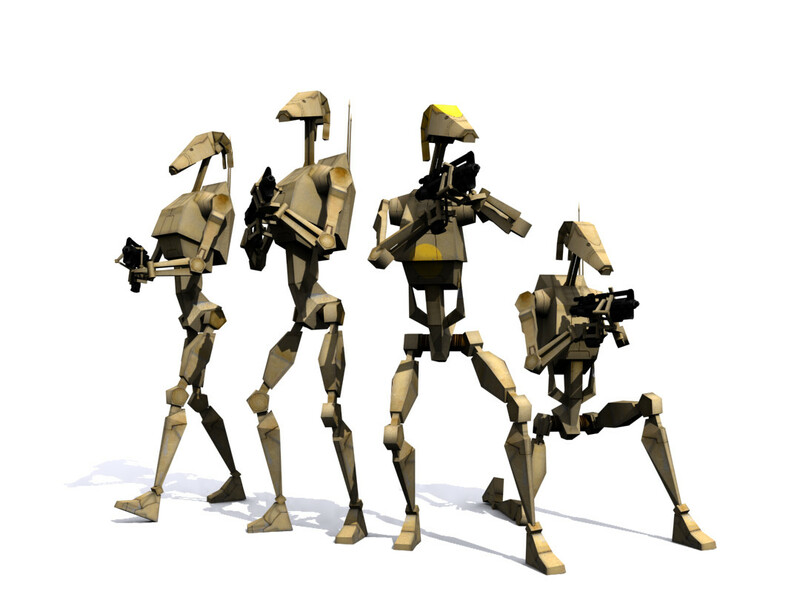 V-200s. And not even enough Chinooks. Boss, how? Worse yet, when fathers cascade such messages to their sons, the negativity lingers and is passed down to the next genertion. This is already happening and also opinion abt the ruling party. It is not helped by the release of the PWP. Whatever did we serve for? David, like to read your blog very much, will we get into trouble ah ? i have friend who decides to send his son over to the USA after 10 years of education in Singapore. Once the solid foundation is laid, he will pay the deposit and send his son to the US for his pre-Uni. 1 year foundation course then followed by the 1st degree, possibly doing a post-graduate degree and work there, he is able to forfeit that deposit! His son will have a new life in the USA. National Service? What National Service? Morale for real war is a common worry. I suspect that the number of soldiers leaving Singapore even as tensions escalate before a conflict will be very high. On paper it is easy to shade in that number and say that you are committed to defending Singapore (the usual post ICT survey nonsense that I know my fellow soldiers just shade all the same number just to be done with it). But then someone in higher command is going to look a a sheaf of survey results and think that morale is strong, but in fact on the ground it is shaky. With no identity, national ideology, rhetoric or sense of nationalism, our chances of standing up under real pressure are very slim. The last 10 years has seen quite a lot of damage being done to the morale of NSmen and to the concept of C2D, no thanks to the shortsightedness of our national leadership in allowing unrestricted immigration and disenfranchising the "natives". I agree with Daniel who posted above on possible morale issues, and really who cares about fudged NS surveys which only tell command what they want to see? In addition, I am worried that with the dilution of a national identity due to the influx of people from the "old countries" we may end up with a situation where there are civil disturbances due to conflicts outside Singapore (e.g. two major Asian powers that shall not be named clashing over a disputed mountainous region) as FTs/PRs/new citizens who identify themselves as closer to their old country than with Singapore openly clash. 1) With so many new citizens, the potential for a fifth column is very real. We can never be sure where their loyalty lies, and some may enlist deliberately to be sleepers or do the bidding of their original countries. 2) With so many people cramped into this tiny red dot, can the soldiers get back in time for mobilization? Think how crowded the MRT trains and buses are during normal time. How much worse it will be if many units are activated at the same time. And don't forget that some of those activated are the very same people manning the MRT stations, driving the buses, trains and taxis. And the frequent breakdown of train services. Go ahead and name India and China lah. Scared what? Tibet is a small issue between them. It is not an invasion route. The flow of oil via the sea to China is far more important. Migrate then migrate lah. Just find a replacement for your section mate. At most a few more soldiers die only. Does it matter to the big boss? Abolish NS. With the money, hire and train Nepalese gurkhas as our standing army (they are mercenaries anyway for UK, SG Police and Sultan of Brunei). Hopefully Nepal still 3rd world country in 2030 and can supply us with thousands of their countrymen as gurkha merceneries. 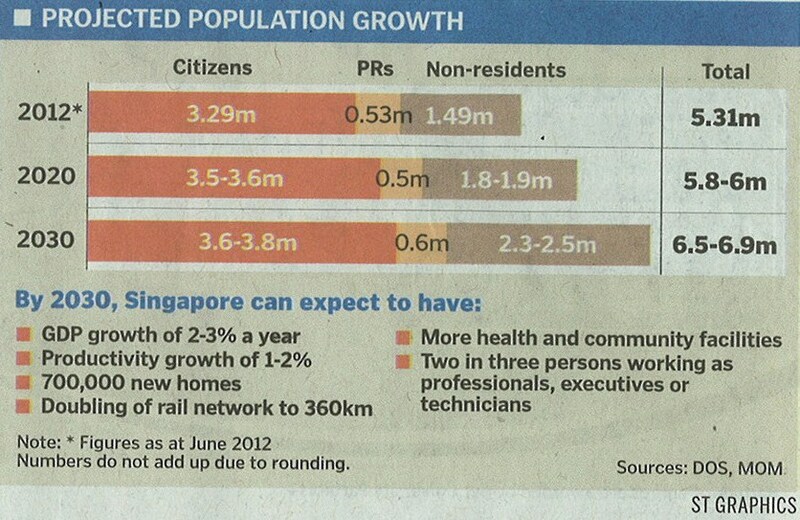 I say this not in sarcasm, I truly will not defend SG if half of the people on SG are non-citizens or non-SG-borns.